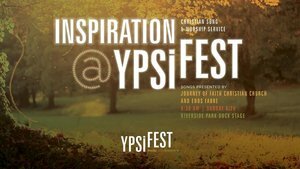 This Sunday we will gather with folks from around the Ann Arbor and Ypsilanti community at Riverside Park in Ypsilanti for a special worship service as part of the Ypsilanti Heritage Festival. The centerpiece of this service will be prayer over the joys and concerns lifted up throughout the weekend and placed on the Prayer Wall which will be stationed at our booth all weekend long. The simple act of inviting people to share the prayers on their hearts- to write them on beautiful paper and place them before God and all the world- is both soul care and evangelism. During the worship time, our musicians will lead us in praise and our pastor will offer a brief word of hope. Invite your friends and family to join us for this inspirational opportunity to connect with one another, with the greater community and with God. More detailed info on time and place at the Facebook Event.